There are two methods of framing a house. Balloon framing was common until the late 1940s, but since that time, platform framing has become the predominant form of house construction. 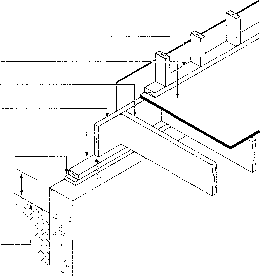 This method of framing wall sections horizontally on the subfloor prior to erection is widely used. The top and bottom plates are end-nailed to each stud with two nails at least 31/4 in. (82 mm) in length. Studs are doubled at openings, the jack stud being cut to receive the lintels which are placed and end-nailed through the outer studs.